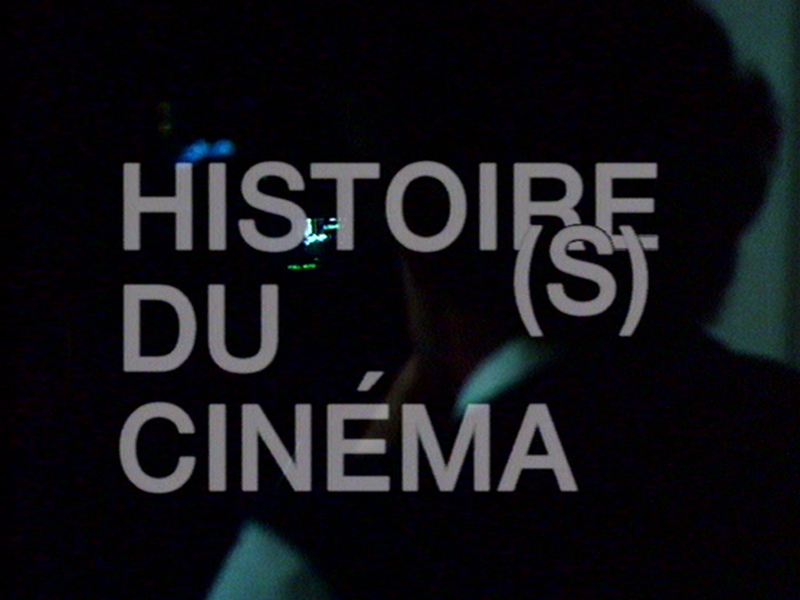 Histoire(s) du cinéma is a monumental video work, originally made for television, in which Godard processes both an associative, multiple history of the art of film and the historiography constructed by the film medium into a non-linear audiovisual essay. Divided into four chapters, Histoire(s) du cinéma doesn’t gives us a chronological account, but unfolds a double exploration: a journey through the history of the twentieth century, through a landscape of images and through Godard’s own filmmaking. Fragments of old movies, photographs, freeze-frames, reproductions of paintings, newly shot interviews and images of Godard in the editing studio, text fragments in the form of titles, inscriptions, and quotes combine into a swirling stream of images which is accompanied by a multilayered soundtrack, composed of various pieces of film music, voice-overs, dialogues and sound files. For the American film critic Jonathan Rosenbaum, Godard’s Histoire(s) du cinéma is the culmination of twentieth-century film art: “Just as Finnegans Wake, the art work to which Histoire(s) du cinéma seems most comparable, situates itself at some theoretical stage after the end of the English language as we know it, Godard’s magnum opus similarly projects itself into the future in order to ask, ‘What was cinema?’.” An ode to the art of film on the one hand, to the classical cinema that has largely been lost and is constantly slipping away. But on the other hand, as a virtuoso video work, Histoire(s) du cinéma looks into the future: what will become of cinema in the twenty-first century? Histoire(s) du cinéma is een monumentaal videowerk, origineel gemaakt voor televisie, waarin Godard zowel een associatieve, meervoudige geschiedenis van de filmkunst als de geschiedschrijving geconstrueerd door het medium film verwerkt tot een niet-lineair audiovisueel essay. Onderverdeeld in vier hoofdstukken brengt Histoire(s) du cinéma geen chronologisch relaas maar ontvouwt het een dubbele verkenning: een reis doorheen de geschiedenis van de twintigste eeuw, doorheen een landschap van beelden en doorheen Godards eigen parcours als filmmaker. Fragmenten van oude films, foto’s, freeze-frames, reproducties van schilderijen, nieuw gedraaide interviews en beelden van Godard in de montagestudio, stukken tekst onder de vorm van titels, opschriften en citaten worden samengevoegd tot een wervelende beeldenstroom met een meerlagige klankband, opgebouwd met allerhande stukken filmmuziek, voice-overs, dialogen en geluidsfragmenten. Voor de Amerikaanse filmcriticus Jonathan Rosenbaum symboliseert Godards Histoire(s) du cinéma het hoogtepunt van de twintigste-eeuwse filmkunst: “Net zoals Finnegans Wake, het kunstwerk waarmee Histoire(s) du cinéma het best is te vergelijken, zich bevindt op een theoretisch punt na het einde van de Engelse taal zoals we die kennen, richt Godards magnum opus zich op de toekomst om te vragen: ‘Wat was cinema?’.” Een ode aan de filmkunst enerzijds, de klassieke cinema, die grotendeels verloren is en voortdurend wegglijdt. Maar anderzijds werpt Histoire(s) du cinéma, als virtuoos videowerk, ook een blik in de toekomst: hoe zal het cinema vergaan in de 21ste eeuw? Histoire(s) du cinéma est une œuvre vidéo monumentale, initialement conçue pour la télévision, dans laquelle Godard transforme à la fois toute une histoire associative et plurielle du cinéma, ainsi que l’historiographie construite par le médium film, en essai audiovisuel non linéaire. Divisée en quatre chapitres, Histoire(s) du cinéma ne propose donc pas de récit linéaire mais se déploie selon une double exploration : un voyage à travers l’histoire du XXème siècle, à travers un paysage d’images, ainsi qu’au travers du propre parcours de Godard en tant que réalisateur. Des fragments d’anciens films, des photos, des arrêts sur image, des reproductions de peinture, des nouvelles interviews et des images de Godard lui-même dans le studio de montage, du texte sous forme de titres et d’inscriptions ainsi que des citations, sont assemblés en un flux d’images tourbillonnant. A cela s’ajoute une bande sonore de plusieurs couches, composée à partir de nombreux morceaux de musique de film, voix-off, dialogues et fragments sonores. Pour le critique de cinéma américain Jonathan Rosenbaum, Histoire(s) du cinéma de Godard symbolise l’apogée du cinéma du XXème siècle : « Tout comme Finnegans Wake – l’oeuvre d’art à laquelle on peut sans doute le plus comparer Histoire(s) du cinéma – se situe lui-même à une étape théorique après la fin de la langue anglaise telle que nous la connaissons, l’opus magnum de Godard se projette de façon similaire dans le futur pour questionner : ‘Le cinéma, qu’était-ce ?’. » Ode au cinéma, donc, au cinéma classique, en grande partie perdu et qui se dérobe continuellement. Mais, également, œuvre vidéo virtuose qui jette un œil sur le futur : qu’adviendra-t-il du cinéma au XXIème siècle ? “During his conversation with Serge Daney in Chapter 2A of Histoire(s) du cinéma, Godard qualifies his project to make a filmic history of the cinema as simply “unrealisable”. 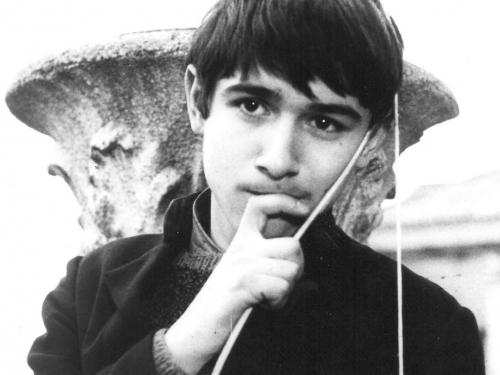 In the cryptic mode that is characteristic of Godard, the reason for this impossibly is indicated in the process of reduction that an attempt of this sort would imply. What would be fatally reduced is cinema as “big history”: “there is projection/ so I call it big history/ because it can project itself/ the other histories can only reduce themselves”. The paradoxical conclusion that one can extract from these assertions is that a cinema history is unachievable because cinema itself is already history. To project its history, in other words, would mean to imagine the projection of history, of cinema as history, that is, the total reproduction of the myriad recordings which cinema is here the emblem. This is why “one would need to make a film lasting a hundred hours”, and still this wouldn’t be enough, because the History, the One or total History, is much longer than a human life, an immense memory that lies invisible in the archives could never be received as such-certainly not until it remains the one, the big, and therefore solitary history. “Images and sounds, frequently overlaid multiple times and set at odds with each other, flash up and flee from us. Some of them are original images shot on video – of the filmmaker, Jean-Luc Godard in his office-studio, typing and reading, or of some well-known French actors reciting texts – but most of the material is taken, grabbed from elsewhere. Images from old films; still photographs of artists, writers and actors; classic paintings; and snatches of music, both classical and popular. Is it some kind of history textbook, a guide to the art of film in its social context? Yes and no. Because what we get is a very particular view of history, filtered through a restless, complex, very individual sensibility. And the maker’s own works are inserted into this history as yet another piece of the grand puzzle. It proceeds through a type of free association, from one fragment to the next. Many of the subtle links between the thousands of small pieces in this giant montage go deliberately unstated and unexplained by Godard. As a viewer, you can get into the work by trying to identify and interpret what is happening from second to second in the Histoire(s). Hundreds of critics, fans and scholars of Godard all over the world have already written many books’ worth, following up and explicating its links and allusions. 1. 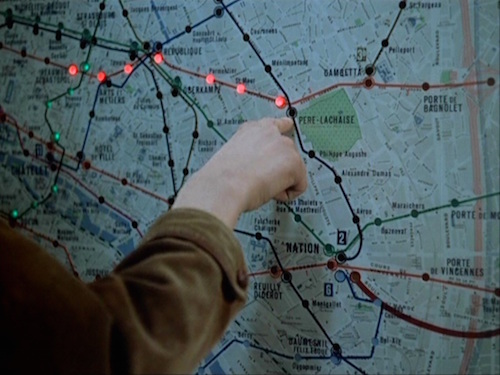 Michel Ciment and Stéphane Goudet, “Entretien: Jean-Luc Godard,” Positif 456 (1999). 2. Michel Ciment en Stéphane Goudet, “Entretien: Jean-Luc Godard,” Positif 456 (1999). 3. Michel Ciment et Stéphane Goudet, “Entretien: Jean-Luc Godard,” Positif 456 (1999). 4. Junji Hori, “Godard’s Two Historiographies,” in For Ever Godard, ed. by Michael Temple, James S. Williams and Michael Witt (London: Black Dog Publishing, 2007). 5. Monica Dall’asta, “The (Im)Possible History,” in For Ever Godard, ed. by Michael Temple, James S. Williams and Michael Witt (London: Black Dog Publishing, 2007). 6. Adrian Martin, “A Skeleton Key to Histoire(s) du cinéma,” Screening the Past.